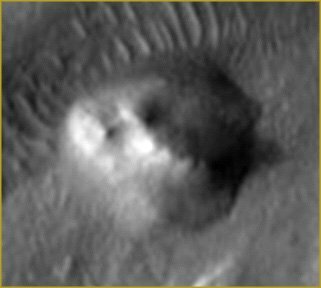 striking similarities occur on the small “island” type features. Mars Update list caught this unusual region. 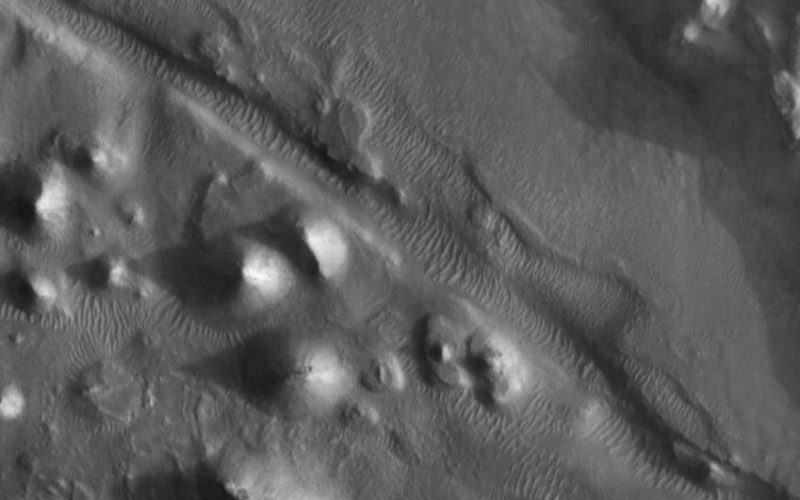 or are we actually looking at the ancient remains of mass civilizations on the surface of Mars? When the information mainstream astronomers, astrobiologists, and planetary geologists are combined with ancient records, the questions begin to snowball. Personally I feel the push needs to be for a concentrated effort on getting to Mars, on all fronts. So far I haven’t located a dolphin, but this is a river bed…not an ocean shoreline…so maybe we should be looking for a catfish instead! Now come on folks…if Webby’s Face II is enigmatic, this one definitely deserves attention! The highly prolific shadow (I think it looks like Abraham Lincoln), is enough to see this ‘hill’ demonstrates qualities unlike those of Face I or Face II. Smoke Stacks? Missile Launchers? The Titanic? Or just simple ‘Martian’ geology? Whatever…this little formation is VERY interesting! 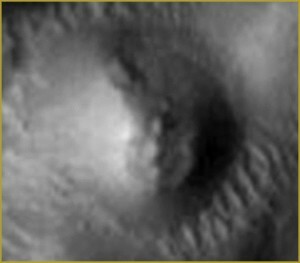 Posted in MarsTagged Technology, Space, Mars, Cydonia, Mars Global Surveyor, Martian, Planetary Science Institute, Atmosphere of Mars, NASAcommentLeave a Comment on Cydonia II…?